Aakriti Art Gallery in Kolkata, India, presents Diversified Fantasy from February 27, 2008 until March 9, 2008. The four artists, Kartik Chandra Pyne, Amal Nath Chakladar, Suchibrata Deb and Partha Pratim Deb, whose works are being showcased in this exhibition, belong to more or less the same generation. The first three of them were born between 1931 and 1940 and came to lime light during the decade of 1960s. Partha Pratim, born in 1943, arrived at his originality a bit later, during 1970s. Though there is some paradigmatic unity in their mode of expressions owing to their sojourn through a similar socio-temporal field, yet each of them is obviously unique in their originality to create a very personal formal structure. This diversity of aesthetic sensibility emerging out of the unity of similar cultural root has made the show enchantingly colorful and diversified. 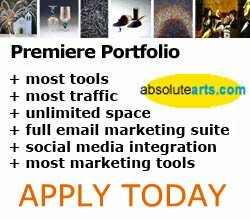 Aakriti Art Gallery promotes their artists with a Gallery Portfolio at absoltuearts.com. There is another point of unity in their expressions. All of them have inwardness in their creativity. They do not ignore the visible nature, but to them it is only a point of departure. They transform reality, distort an! d disintegrate it towards fantasy. The fantasy grows from their inner being, as if from the dreamy environment of the unconsciousness. In this dream-centric fantasy each of them form their own world, dissects it to find its essence in his own way. A very passionate attachment to life and extracting forms of beauty, divine or rebellious, may be cited as another point of unity of expression of these artists. None of them is happy with a set norm of expression; rather they like to expand themselves through experimentations with multifarious modes. They thus expand the horizon of their personal creativity and continuously add new dimension to our cultural thought process. Dream-fantasy is most eloquently expressed in Kartik Chandra Pynes (1931) canvases in oil. With child like innocence he confronts the world, enters deeper into its inner domain of beauty and paints prolifically with a commitment to unmask the passions and intrinsic idiosyncrasies of inner consciousness with wit, humor and often with divine eloquence of joy. He distorts the figures expressionistically or through simplified traditional folk forms resorting to vibrating colorful pallet to bring a grotesque environment through which he comments or builds up a critique against the aberrations of this life, or upheld its mystic beauty. In creating this uniquely grotesque fantasy-based beauty he is very original. Amal Nath Chakladar (1936) explores a different direction. Neo-Indian style at the beginning of twentieth century made the first attempt to create an indigenous identity of our modernity. Art movements of our country during the subsequent period since 1930-s tried to come out of this set norm of indigenousness. But the formal structures created by neo-Indian school did not dissolve totally. It is still practiced by number of our contemporary artists. They try to enrich it through absorption and assimilation of various modernistic modes and values. Chakladar is one of the major figures among them. He has expanded this style by adding newer dimensions to it. The temperas on silk presented in this show are examples of his innovative endeavor. These lyrical, intuitive linear forms of birds in nature express a mystic mood of divine beauty through expression of sensitivity of far-eastern art. He creates fantasy based on classical contemplation. In this idealized beauty pulsates the rhythmic harmony of nature. Suchibrata Deb (1940) explores tradition in a different way. As a student of Kala-Bhavan, Santiniketan during early sixties he came in contact with the masters like Binodbehari Mukherjee and Ramkinkar and was inspired towards creation of an indigenous identity assimilating global tradition. He has gradually developed his own style by infusing indigenous folk with modernistic fantasy. The subjects of his paintings are often directly derived from life, particularly rural life, where though he does not idealize the intrinsic beauty of nature and life, rather brings in the dialectics arising out of contrast between ideal and real, and through this dialectics comments on the omnipotent harmony of existence. His canvases of guache and pastel with figurative renditions often exposing some narrative elements enter into inner domain of flowing life by deviating from naturalistic reality through cool and colorful fantasy. His works too grows out of the evolution of the ideal posited by neo-Indian school. Partha Pratim Deb (1943) is a prolific, versatile artist. He paints, he sculpts, he unites these two to build up installations. His works are often figurative and narrative. He often goes completely abstract working linearly or through mysterious textures. In every work he develops a new style. He shows, art is limitless like human consciousness. It has no boundary. It can expand incessantly. Art is a play for him. He plays with pleasure. He plays with pain. Through this play he develops an enigmatic situation, builds up sarcastic wits to comment on reality of our existence. He brings out this enigma and sarcasm through fantasy oriented distortion of nature. Through this fantasy, even within the multifarious exposures of his mode of expressions, he builds up a very consistent personal style, which is the result of his deeper commitment to the present socio-temporal reality. The works of sixteen sculptors presented in this show brings out a brief outline of formal evolution of our contemporary sculpture through four generations. Fourteen of the sculptors are from Bengal. Only two come from other region, one from Lucknow, and other from Baroda. There are senior artists who developed their own form during 1960s; there are others who came to lime light during subsequent decades, from seventies to nineties, also during the first years of twenty-first century. But it lays more stress on younger generation, who are bringing out newer paradigm of expression to reflect and comment on complex mode of contemporary globalized situation. Modernity of Indian sculpture, as is well known, originated during the middle of the decade of 1930s through the works of a genius at Santiniketan. He was Ramkinkar. The great poet Rabindranath was the source of his inspiration. Before him since the middle of nineteenth century Indian sculptors were engrossed with working in British academic naturalistic style, where there was no search for identity based on indigenous root. Ramkinkar was the first to assimilate the essence of our classical, primitivistic and tribal sculptures with the western modernistic modes. This assimilation continued through the works of the first generation of our sculptors. Prodosh DasGupta, Chintamoni Kar, Shankha Chowdhury and some of their contemporaries continued with the process and developed different modes of modernistic identity. Among the artists of 1940s Mira Mukherjee and Somnath Hore, who may also be categorized as first generation of sculptors, at a later stage could create very original form of modernistic sculptures. The second generation of sculptors, most of whom were trained under the masters of the first generation and came to develop their own form during the decade of 1960-s continued with the assimilation of eastern tradition and western modernity based on their socio-temporal realities. At the initial stage they were hesitant, depended more on western masters and lacked proper synthesis. But gradually they could establish their originality. The present show starts with the works of the second generation of sculptors of sixties and continues with the works of the subsequent generations. Uma Siddhanta (1933) is the senior most among the participants. She was disciple of Prodosh Das Gupta. At the initial stage she was induced by the aesthetic ideal of classical Indian sculpture propagated by her mentor. Gradually she delved different sources to arrive at her own form. The two bronze pieces presented here titled as Nandi and Bull show the exuberance of positive volume with primitivistic vigor. Here she posits some suggestion of indigenous identity. Shankar Ghosh (1934) too was trained under Prodosh DasGupta at his initial stage. Gradually he developed an insight to search transcendental beauty within the mystic appearance of human body. Among the three bronzes shown here he too deals with positive volume within the vertically and horizontally displayed human body. The piece titled Reading has some semblance with nineteenth century urban folk culture of Calcutta. The other two Sringer and Waiting show serene contemplativeness through assimilation of eastern western formal structure. Pandeya Surendra (1935) obtained his diploma in Fine Arts from Kala-Bhavan, Santiniketan. Thereafter he did his graduation from Cleveland Institute of Art, Cleveland, USA in 1964. He must have been inspired by the artistic ideal of Visva-Bharati and motivated by Ramkinkar. Thereby he could resolve in his own way the east-west dilemma of indigenous identity. The two pieces of untitled pink stone presented here show his experimentation with purely formalistic geometrical structure. Manik Talukdar (1944) developed his own form during 1970-s. He resorts to ornamentation and heightens the craft oriented rhythmic structure towards a kind of baroque exuberance. His only bronze piece The Lady exemplifies such a characteristic. Asim Basu (1947) also coming to limelight during 1970-s is very much socially aware artist. He sculpts with wit and humors all the subtle shades of human living with all its pleasures and idiosyncrasies. Dynamism and movement are important characteristics of his execution. Here in the bronze piece Competition he depicts characters engaged in a cycle race, where as in Romance he presents a standing couple and brings out very imaginatively the essence of dynamism within the static display of the figures. Sunil Kumar Das (1952) arrived at his own form during 1980s. His works are mostly rebellious in nature bringing out compassion of living of the lower strata of society. But here in the bronze pieces titled Couple and Head he is more contemplative bringing out serene melancholy out of positive docile geometrical structure. Bimal Kundu (1954) also an important sculptor of eighties works in various modes. Angular display of geometrical planes is one of the prominent features of most of his execution. Here he displays pleasant structure derived from cubism but extracting out its formalistic complications. The bronze piece Head shown here is an example of such sharp but sober geometricality. Sandip Chakraborty (1961) transforms the natural and living elements into enigmatic forms to bring out the mystery of existance. His works are in this way very intuitive in nature. Here in the wooden piece Two points he creates a sensational tension when two points attracts each but cannot meet. In the untitled marble the volume created by the docite curve conveys a mystic yet tactile sensation. The rest of the sculptors belong to younger generation coming to limelight during 1990-s and in the twenty-first century. Most of them create a new paradigm. They explore various traditional modes and assimilate them though a post-modern sensibility. Sujit Kumar Karans (1968) terracotta relief consists of 5x5 small pieces where display of fragmented life exposes its intrinsic mystery. In a bronze piece he shows a shattered body in relief. Subrata Biswass (1972) bronze Playmate attracts for the wit of presentation where an elongated cat walks on the hand of a lying dwarfed figure of a boy. Tapas Biswas (1972) expands the paradigms of the expression of his preceding generation to contain collective social existance, through introduction of narrative elements containing a spiritual vibration. Two of his bronze pieces Holy Bath and An Awning are exemplary in this regard. Chandan Bhandari (1973) has worked with wood and metal. He is very innovative and original in his presentation. He deviates from the set norms sculptural executions developed till 1980s and creates some unusual suggestive forms as in his pieces titled Bangla Band, Time & Space and Grand Mother Home. Ketan Amin (1975) had his art education from MS University, Baroda. Two of his untitled fiberglass pieces display fantasy with serious social comment. The body turns into a hand and throws a top or a black finger pulls a white finger to throw a small marble, where an act is violently personified and an unusual fantasy develops. Nantu Behari Das (1977) who has just come out from Rabindra Bharati University after post graduation has created two grotesque figures. One standing fiberglass male with impressions of newspaper cuttings on the surface of his fiber body act as a symbolic representation of the power of press over formation of personality. In other piece he constructs a toy representing a seated boy whose entire body is covered with colorful small plastic toys indicating impossibility of eradication of use of plastic in contemporary setting. Tarun Maitys (1977) wooden pieces represent sarcasm with witty and humorous social comment. Arya Oraws (1981) scrap metal assemblages bring out a contradiction of existence to show how mechanisation can be transformed into lyricism. The humour contained in his works coming out of a melauncholic sensation shows his sincer commitment to life.